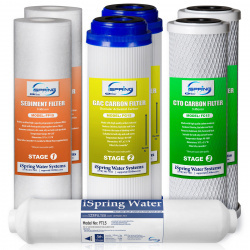 Usually used as second stage for the BIG BLUE whole house filter. 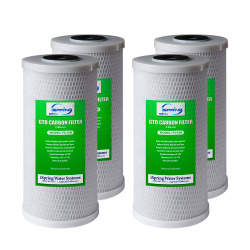 The carbon block filter is manufactured by continuous extrusion process. 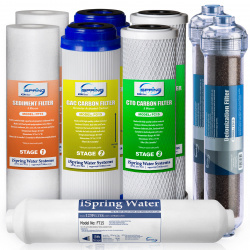 It consists of a high quality virgin premium performance Activated Carbon. 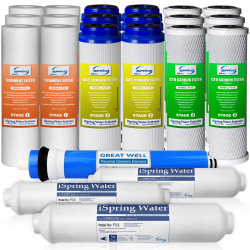 It is effective in reducing free chlorine, bad taste, odor THM, Organics, hazardous chemicals, and pesticides. 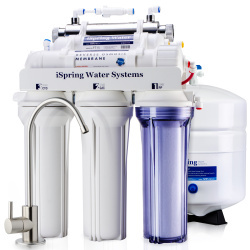 Depending on inlet water quality or flow rate, it needs to be replaced every 6 months or 18,000 gallons of water. 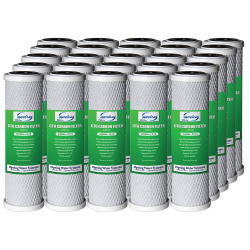 Length: 10", O.D. 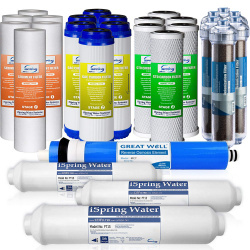 = 4.5", I.D.= 1.0"
Manufactured to comply strictly with FDA standards (CFR-174, 177) and tested by independent third party against NSF/ANSI standards (42, 53, 61) for water quality, material safety and structural integrity. 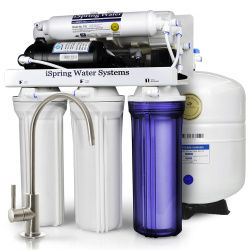 No more paying to have water delivered, or wasting time replacing low-capacity pitcher filters and faucet filters, the US31 Under-Sink Water Filter provides up to 2000 gallons directly from your tap at a fraction of the cost. 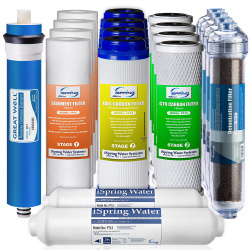 Effective in purifying drinking water instantly! 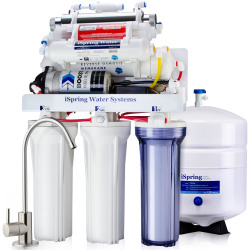 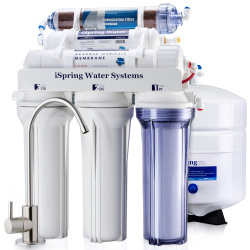 iSpring 6-stage Reverse Osmosis DI Water Purification System generates purified water for drinking, cooking, hydroponics, aquariums etc. 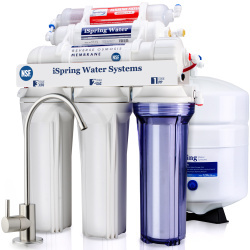 The unit removes hardness, heavy metals, toxins, and many other tap water impurities. 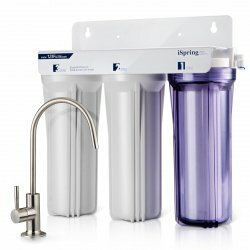 This is our most popular drinking / aquarium system! 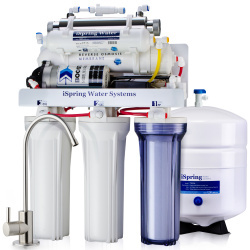 6-stage Reverse Osmosis System perfect for average homes (up to 8 people) on city supply water. 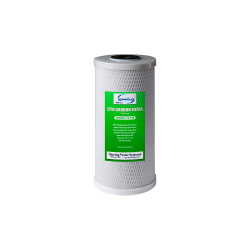 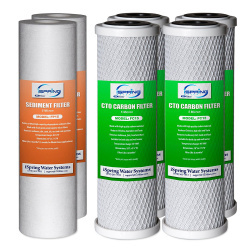 For filter cartridge replacement schedule and price, see Replacement Filter Sets.